Walt Disney’s attendance at the film’s premiere at Grauman’s Theater was significant because it was the only Disney film premier he had attended since the premiere of Snow White at the Carthay Circle Theater on December 21, 1937. Here is some footage of the event itself. What is notable is that Walt is asked about not only the film, but also Disney’s involvement at the World’s Fair that year. The clip is loaded with stars as well, so it is just an amazing piece of film! 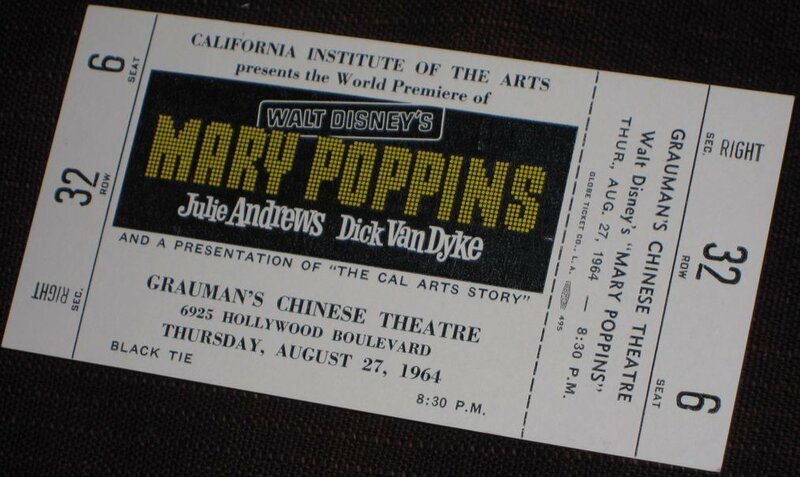 This entry was posted in 1964 World's Fair, Movie and tagged Mary Poppins, P. L. Travers, Walt Disney, World's Fair. Bookmark the permalink. I was the Disneyland Show coordinator for the Premier. . Worked with all Disney groups . I saved all my files.(phy. arrangements,permits,minutes of meettimgs,pictures,tv script,staff assignments etc) Disneyland Production Coordinator 1963-1968 (Ben H.) Happy to answer questions. I would love to talk to you, Ben! I will contact you via email!